The Lightner Museum is excited to share new items available for adoption through the Museum’s Adopt an Artifact program. The Lightner Museum Adopt an Artifact program allows donors to choose items in the museum’s collection selected by the curator to restore. Click here to read about a family that adopted an artifact in honor of their mother. 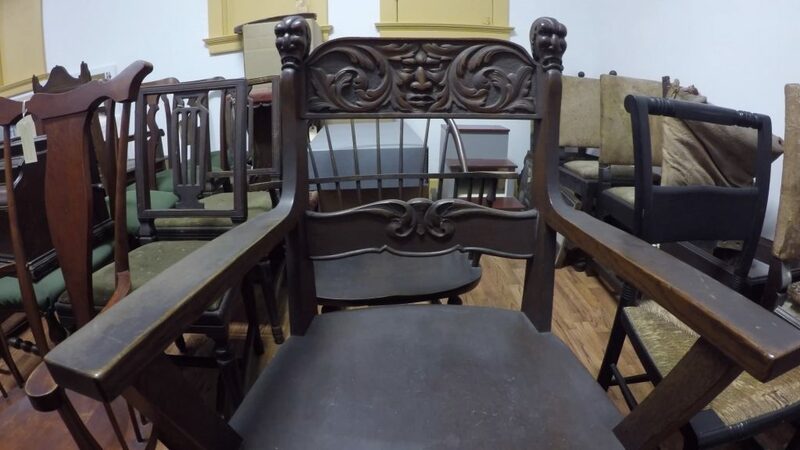 There are five items waiting to be adopted, all are unique 19th century pieces of furniture. 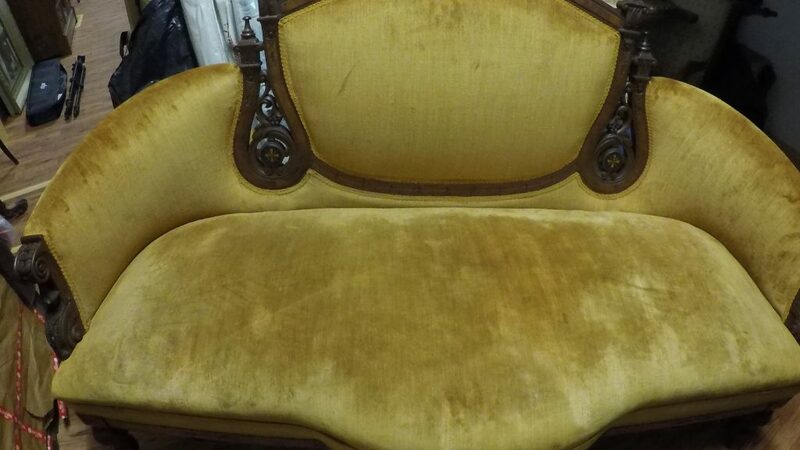 This Golden Oak Armchair is worn but in salvageable condition. The finish needs to be restored, and part of the back leg is missing. A new leg will need to be carved out of golden oak, and stained to match the rest of the chair. 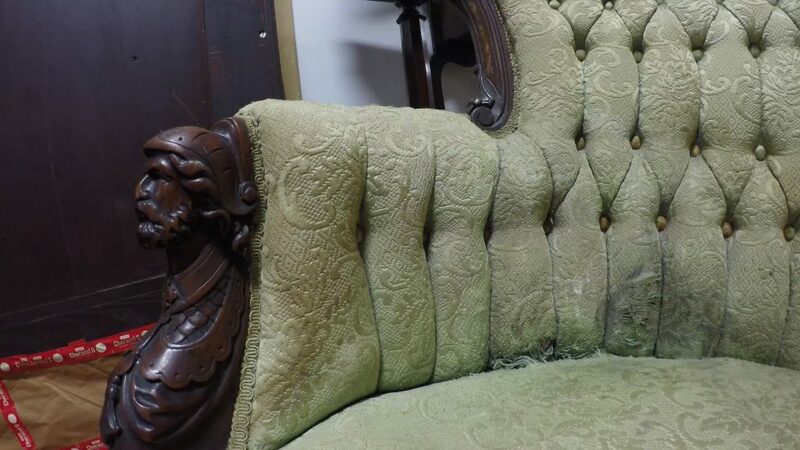 The wood finish on this 19th Century Renaissance Revival Sofa has become dull and dry, and could benefit from some polishing. There are some wood fixtures missing that will need to be carved, fastened, and finished to match the rest of the wood. 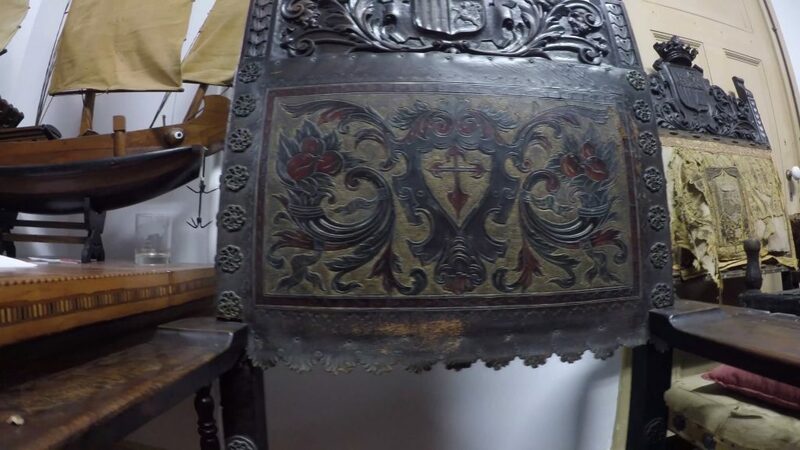 This piece of furniture desperately needs to be reupholstered with period appropriate upholstery. The Lightner would love to have this elegant 4 piece parlor suite on display! The wood finish needs to be cleaned and polished, and all four pieces need to be reupholstered. This ornate 19th Century Syrian Bench is inlaid with mother of pearl, and the finish is in fairly good condition. There is minor carving work to be done, and some missing veneer that needs to be patched. The wood finish has slightly dulled over time, but can be fixed with polishing and waxing. For more information about the Lightner Museum Adopt an Artifact Program, contact give@lightnermuseum.org or call 904-824-2874, ext. 100.